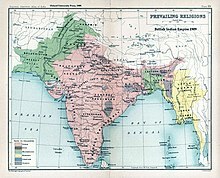 1909 Prevailing majority Religions for different districts, Map of British Indian Empire. १९०९, ब्रिटिश भारतमा हिन्दुहरूको प्रतिशत. 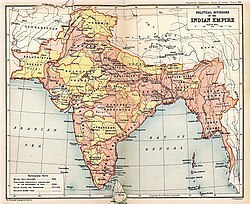 १९०९ ब्रिटिश भारतमा सिख, बुद्धिष्ट र जैनको प्रतिशत. 1909 Prevailing (Aryan) Languages (Northern Region). A People Partitioned Five radio programmes broadcast on the BBC World Service in १९९७ containing the voices of people across South Asia who lived through Partition.